There’s still a way to go when it comes to recycling water but for places like Cape Town in South Africa, a solution like this would be a saving grace. 98% of Cape Town’s water comes from dams but with three years of low rainfall, their using water more than is being replenished. The city is running out of water. 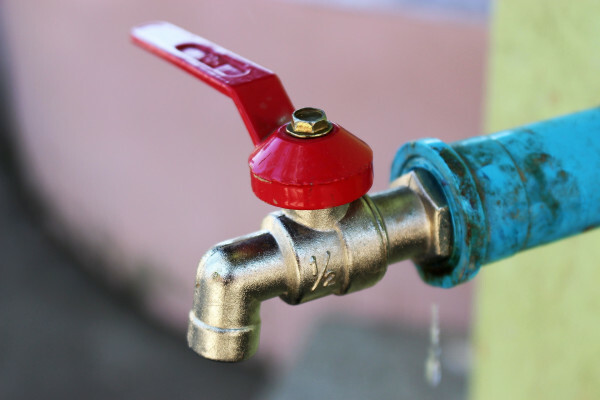 Georgia Mills spoke to Kevin Winter from Cape Town University who was all too familiar with the prospect of the taps turning off. Kevin - Day Zero is a date when the city would, effectively run out of water. And the water in our dams, when it got to a level of 13.5%, that’s the point at which taps were being turned off right across the city. About 75% of the city’s residential area, some businesses, even institutions and so on would find their water cut off and individuals would then have to queue up in 200 different places scattered across the city and collect their rations of 25 litres of water for each day. Georgia - Since this has been announced the date of Day Zero has changed, so what’s been happening since that? Kevin - It was forecast to be the 9th April. And then a number of factors came into play to enable us to essentially overt day zero. They’re three big things; the first that citizens have reduced their water demand dramatically. In January 2016 we were, on average, using about 235 litres per person per day and we’re now currently using about 70 litres per person per day, and hoping to continue to get to 50 litres per person per day. No other city seems to have recorded such a dramatic change in water use. The second major one is that farmers have had their allocation of water terminated and so they no longer take in water from the same dams. The last of all, we’ve had some rain which has cooled down the weather to some extent. It hasn’t made a great deal of difference to the volume of water stored in our dams, but it has reduced the evapotranspiration, the loss of water from those dams. Georgia - Right. Now that the day is now further away, but it’s still sort of looming over the city, what will happen when that day arrives? Kevin - When taps are turned off the impact’s going to be large. Unless they’ve found alternative sources in the interim, it’s unlikely that we’d be able to keep schools, large government buildings, and so on running if they are dependent entirely on potable water from the city supplies. An unworkable arrangement in which citizens queue up to go and find water in these various stations across the city, you’ve got to get there first of all. You’ve got to spend time queueing up for that water, and you’ve got to take that water somehow, which is heavy - 25 litres is substantial - and you’ve got to take it back to your home. In the meantime, we get on with these new projects that will be able to supplement our water supplies so that we can survive what is an absolute terror, a catastrophe in lots of ways. Georgia - You mentioned there other projects. Are people looking into this then, other forms of water supply? Kevin - Yes indeed. The new projects are threefold; the first one is to draw more water from our aquifers and that is a project ongoing at the moment and we will see what the yields are like. There are loads of issues around drawing water from an aquifer and what kind of damage you can do to an aquifer. The second one is to reuse that water, and there are projects trying to upscale the amount of reuse that are taking place across the city, and then we have a number of very small scale desalination projects that are being undertaken at the moment. They are still at their infancy and, at this point, the city and the national government envisage only fairly small scale projects and at some point later they might be ratcheted up to meet a higher demand..
Georgia - Are people taking matters into their own hands at all? Are we seeing changes in behaviour other than just sort of using less water? Kevin - Yeah. People have gone and sunk private boreholes in and around their properties. And, in many cases, use that as a sustainable argument that we now no longer draw in water from the dams and the storage system, we are doing it from the ground and that’s our right, and we can take as much water out as we like and no-one is really watching us. Georgia - But, presumably, that’s not an infinite resource? Kevin - Well, it’s like putting a straw into a glass, isn’t it? And, if you draw the short straw you’re going to find it’s not yielding any water. Those who can afford go down deeper and, of course, it does have implications. When you go down well below the water table and start to draw from that, because we’re a coastal city, there’s every chance that you’ll start to draw seawater into that groundwater. It then becomes a real danger in a moment in which aquifers, which are currently yielding very high qualities of fresh water can be contaminated, and it takes a long time to undo the damage. Georgia - Right. Cape Town has always been in the same part of the world, obviously; why is this happening now? Kevin - That’s a really great question because, in the past, what we would normally see during the winter rainfall period is that every three to five days a cold front system would arrive into our region and pass over the southern Cape and fill our dams. We relied on that and a very different rainfall is evident in what we see now. The high pressure systems, called the South Atlantic High are dominant, and the dominant system, high pressure system is forcing these cyclones to travel southwards. We can see them; they are really intense on the satellite images, and we get so disappointed because they migrate off southwards. It could be through the warming of the oceans that are beginning to affect the dominance of that system. You could look at global warming, you could talk about climate change, you could talk about disturbances in the upper atmosphere. They’re all in the mix and could well be factors that need to be understood if we are going to understand now why our mid-latitude cyclones are just missing us. Georgia - Do we think this problem is just localised to Cape Town or are we going to see more of this happen in other places? Kevin - I think the big warning is that if you are reliant on a source of water; in our case, 98% as I said earlier on, and you’re having weather variability like this weather is, even over a short period of five years. We’ve watched California and Arizona and Australia, and cities within them, have experienced much longer periods of drought - 10 years drought or more. If you’re only relying on a source of water, you are going to look a to look a these warning signs a lot more carefully. But one thing I think we’ve learnt is that in 2014 we’ve experienced some of our best rainfalls and by the end of 2014 it looked like our dams were full, there actually was no real need to get scared about what the future holds here. Then suddenly, by the end of 2015 the picture started to look very different and it has continued to do so over the next two years. In other words, it’s extremely quick and, if this is the signs of climate change, well it’s rapid. Those are the signs we’ve got to start looking for and if you start to see that happening you need to start looking at diversification of water supplies. Izzie - Fingers crossed some rain comes their way! That was Kevin Winter from Cape Town University, and thank you to all our other guests this week, Jonathan Bridge, Helen Hamilton and Regan Harris. Cape town can be a warning for all of us to pay attention to the amount of water that we use. According to Cambridge Water, the average person in the UK uses 150 litres per day. That’s about 6-9 litres per toilet flush, 45 litres for a 5-minute shower and 50-100 litres for a full load in the washing machine. Kevin’s advice for anyone around the world was to start noticing how much water you get through on a daily basis, and work out where you can cut down - perhaps it’s putting tissues in the bin rather than the toilet bowl or not letting the tap run for too long. You can’t manage what you don’t measure! Previous Quiz: Can a sloth or dolphin hold its breath for longer? Next Can we recycle our used water?